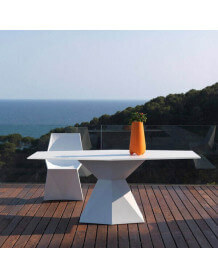 The design Vertex Table byVondom is a very contemporary element of decoration as well for indoor as for outdoor spaces. 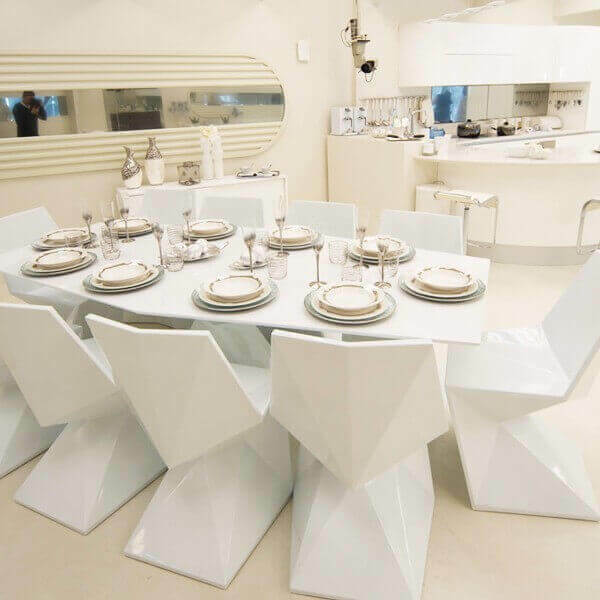 Vertex collection is characterized by a triangular plan that brings a sophisticated touch of design. 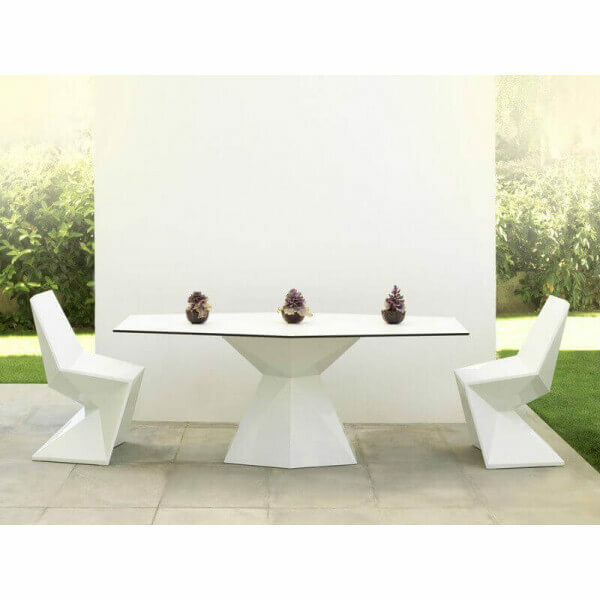 This table can be used as dining table outside or inside. 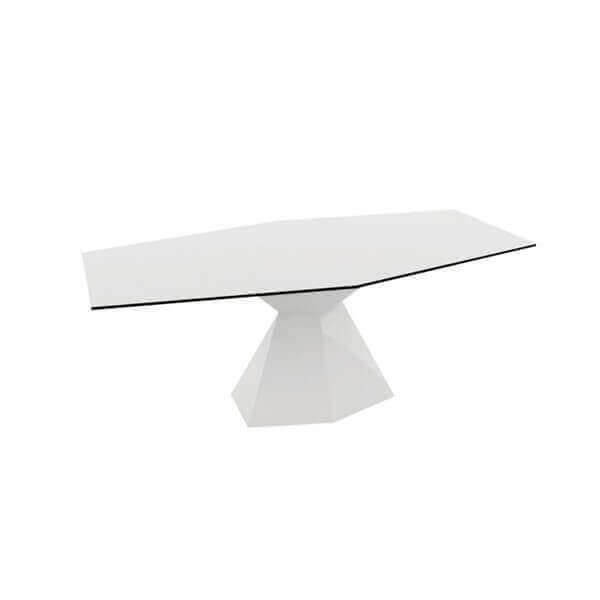 Vertex is a symbol of esthetic but also through its unique architecture and elegant form. 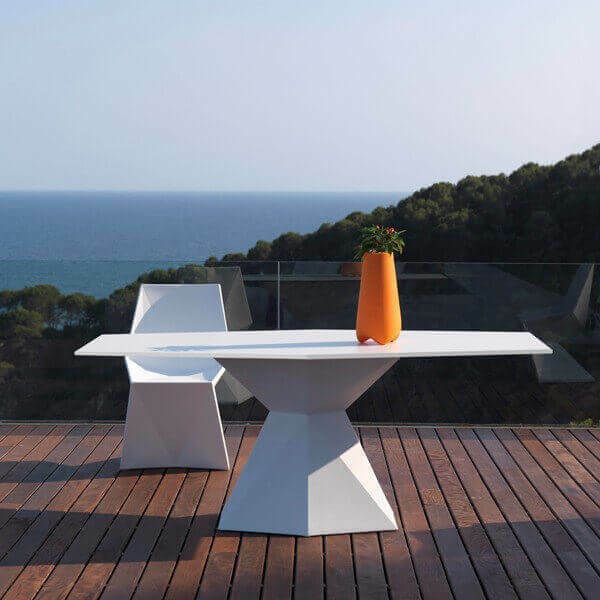 To ensure a maximum of quality, the table is made ​​of rotationally molded polyethylene. 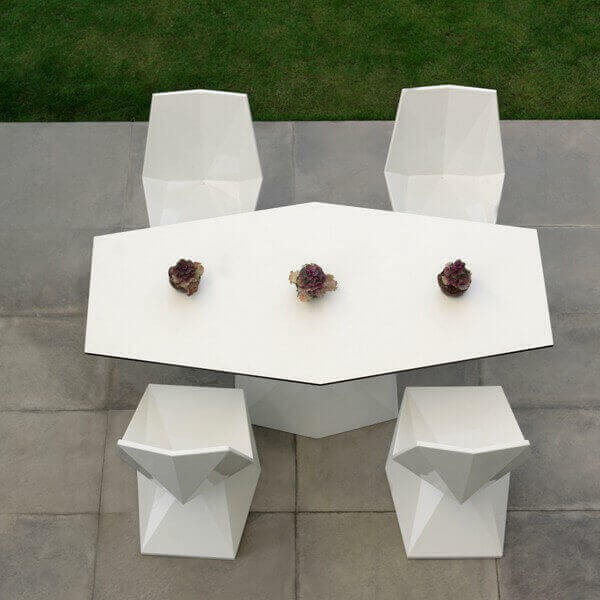 Vertex tolerates extreme temperatures and UV and is designed for extended outdoor use all year long.